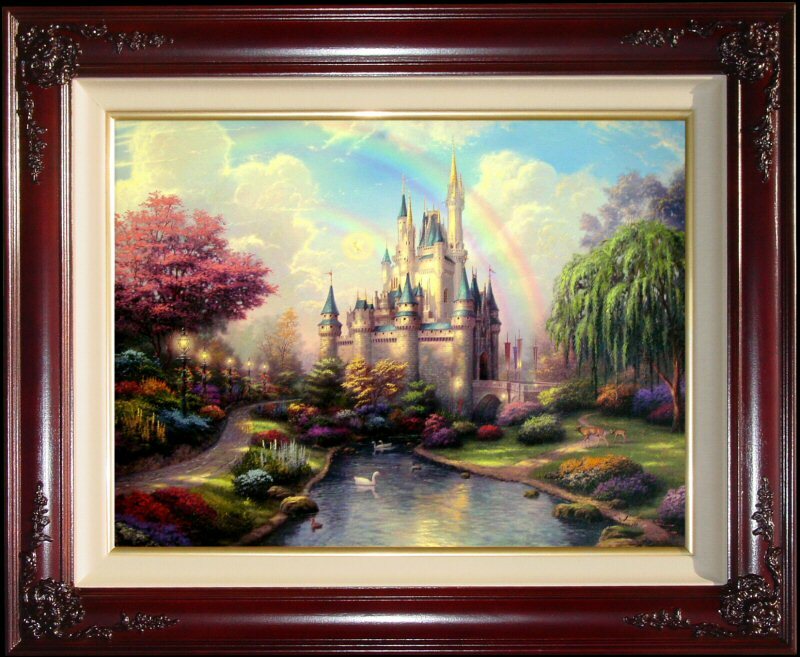 "A New Day at the Cinderella Castle"
ONLY 690 IN THIS EDITION! SOLD OUT and no longer available from the Publisher! 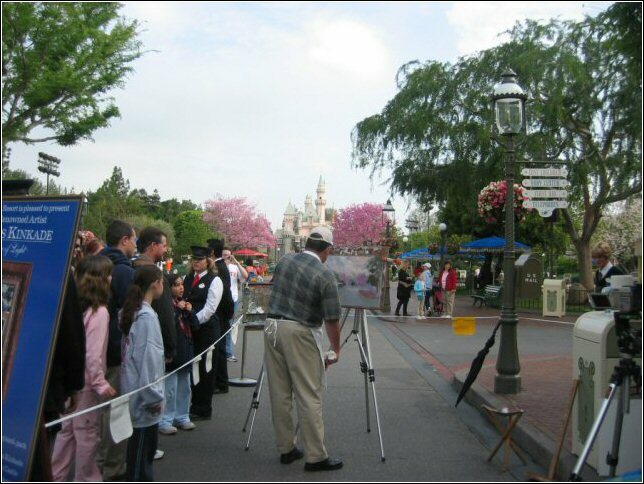 Brass Plaque with the legend "A New Day at the Cinderella Castle ~~Thomas Kinkade"
A New Day at the Cinderella Castle was painted in celebration of Walt Disney World's 35th Anniversary. 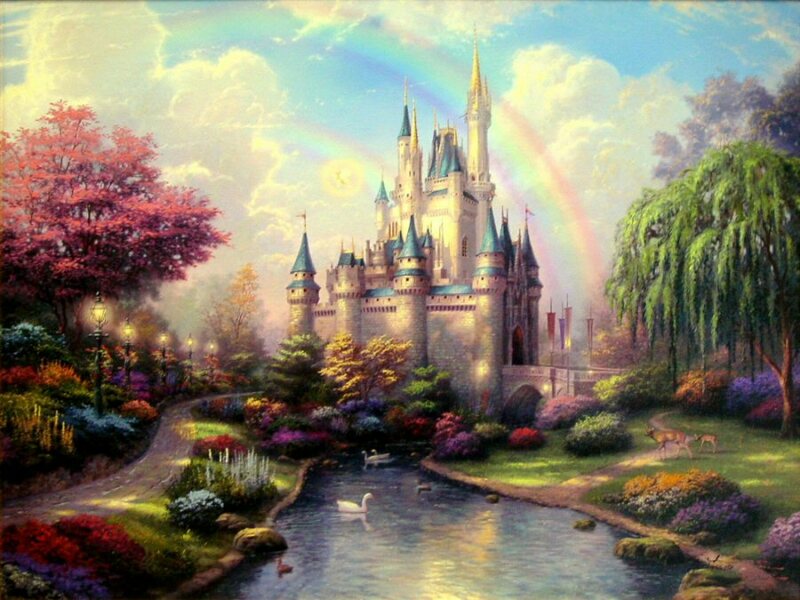 +++ Thomas Kinkade incorporated seven N's in "A New Day at the Cinderella Castle" as a continued tribute to his love for his wife Nanette. +++ When the sun sets, the castle is illuminated in 16.7 million colors, thanks to Vari-Lite intelligent lighting fixtures placed on different castle levels and surrounding the castle. +++ The castle itself plays a role in the Magic Kingdom's fireworks show, in which it changes color in synchronization with the dramatic music of the display. +++ "A New Day at the Cinderella Castle" brings you back to all those magical moments in your childhood. ++++ RARE! This edition is limited to only 690 in the world! ++++ Brass Plaque with the legend "A New Day at the Cinderella Castle ~~Thomas Kinkade"
"A New Day at the Cinderella Castle discovers a morning every bit as enchanting as the castle itself. 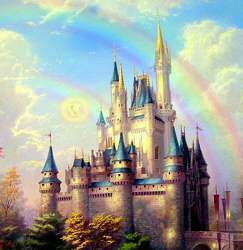 A double rainbow arcs over the towering castle; morning light gently kisses the stone turrets. Lavish trees and shrubs frame the building; quaint gas lamps dance along the walkway. 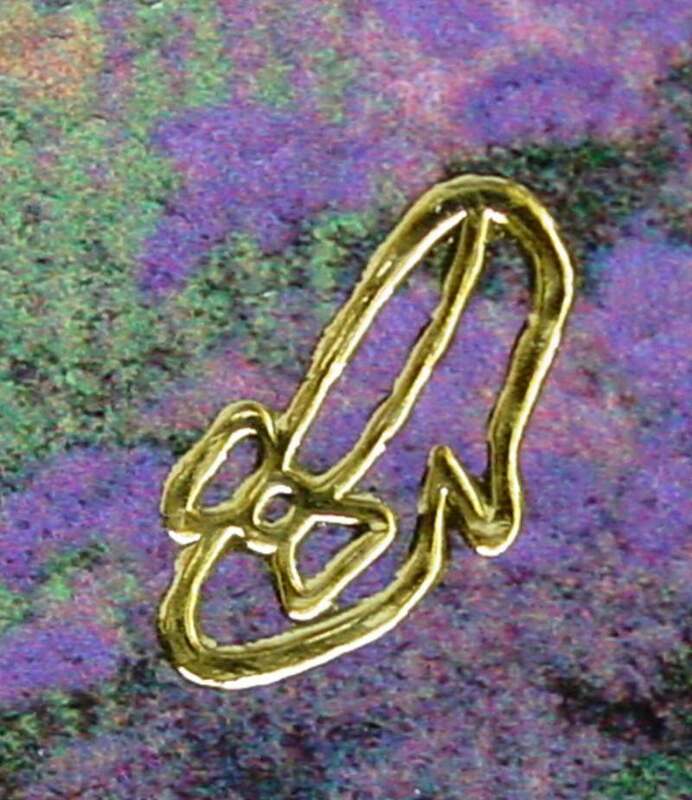 I used a whimsical brush: Is Bambi on the lawn? 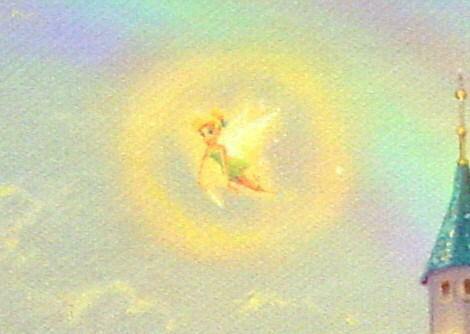 Tinkerbell above the castle spires? The Ugly Duckling in the pond? You decide."